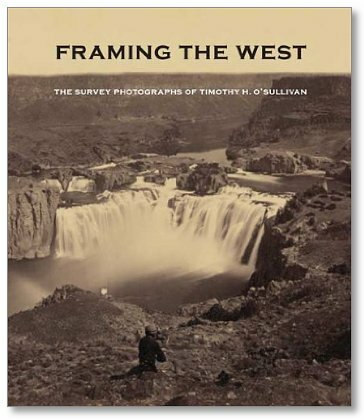 In Framing the West, Toby Jurovics and his colleagues have collectively drawn a thoughtful and cogent portrait of Timothy O’Sullivan, one of America’s heroes of nineteenth-century landscape photography. The lead essay by Jurovics charts in detail and with great care, the verifiable facts of O’Sullivan’s brief biography and his important early photographic work during the Civil War. This narrative prepares the reader for the longer discussion and examination of O’Sullivan’s professional relationships with Clarence King and George M. Wheeler—leaders of two government surveys who hired him to photograph throughout the western frontier—and the pictures he made during these arduous expeditions. An important point that Jurovics drives home, and one not often discussed, is the collaborative nature of O’Sullivan’s photographic practice.This notion of collaboration together with the author’s descriptions of the living and working conditions in the field, and what it is to make pictures using a large view camera—to conceptualize an image and then to prepare and develop plates in the middle of this vast western landscape—dispels at least some previous accounts which often exaggerate actual circumstances, thus romanticizing both the photographic process and the landscape experience. As an historian, I welcome Jurovics pragmatic and meticulous approach along with the two companion essays, seven appendices, and the chronology, all of which O’Sullivan deserves, but texts which also well serve a variety of other audiences. 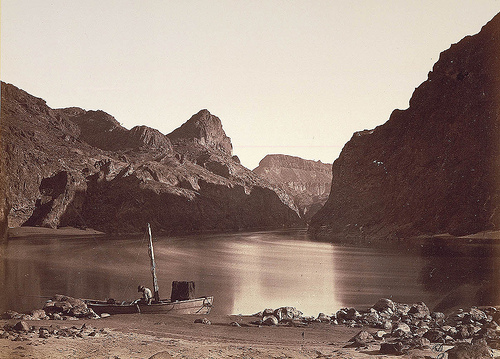 However, for Jurovics to maintain O’Sullivan’s picture making advantage over other photographers such as Carleton Watkins and William Henry Jackson, their images being “...easily corralled into established pictorial modes...,” (p.26) requires more than a statement of fact. Nothing speaks more clearly than an old-fashioned, art historical side by side comparison of two distinctive images in order to make a point. Several visual examples would have provided the reader with the necessary pictorial information to form an opinion one way or the other. This criticism aside, the first-hand observations from six contemporary landscape photographers peppered throughout the essay, provide an astute insider’s perspective and authenticity to O’Sullivan’s working methodology as the running commentary also buttresses Jurovic’s thesis.The volume is a model for future writers who take on either the historical dimension of landscape photography or the ever dynamic genre of contemporary landscape practice. More about the book and exhibition here.